Delicious, easy, and quick (yay for dinner in under 30 minutes), this Chicken Feta Spinach Tomato Pasta is one amazing meal that is sure to become a favorite dinner. 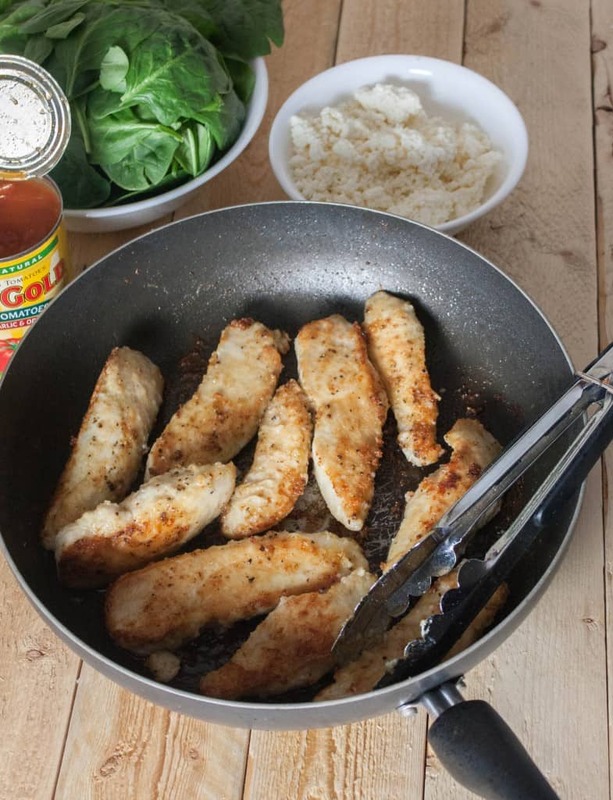 The chicken and sauce are cooked in one pan making cleanup a breeze! You know how there are certain flavors that go together? For example spinach and feta, they’re like a match made in heaven. 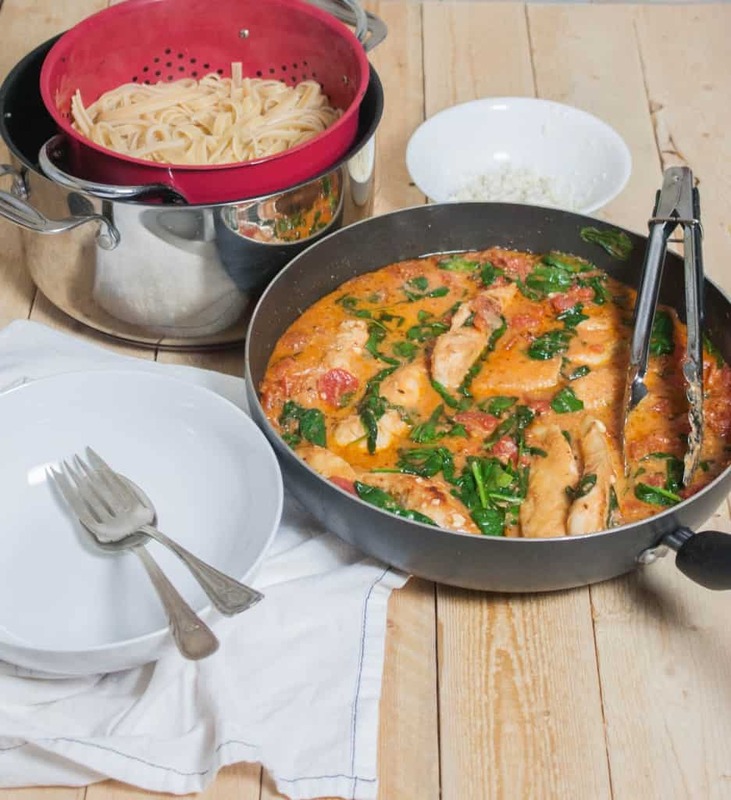 Then throw in some tomatoes and pasta and chicken and wow, just wow, the marriage of flavors just got that much better. And because I’m talking about amazing marriages, it would be remiss if I didn’t tell you that this meal is a take on the first meal I made for my husband. 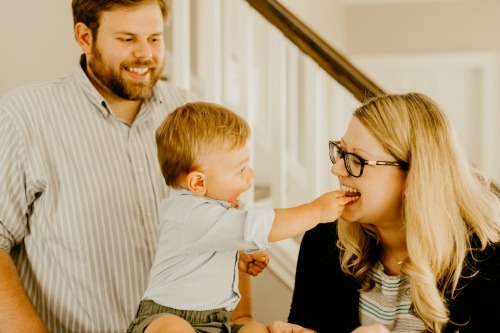 Long before I even had this blog and was sharing recipes, I loved to cook (and of course I’d love to think that this was the dish that made him fall in love with me). The only difference in the dish I made back then was that I stuffed the feta in the chicken breasts instead of using the feta in the sauce and on top of the pasta. Either way, this dish is tasty and has amazing flavors. My husband even remembers that this was the first dish I made for him, so whenever we have this it’s very nostalic and makes us both happy, and who doesn’t want to have a dinner that makes them happy? Making this incredibly tasty meal is super easy. 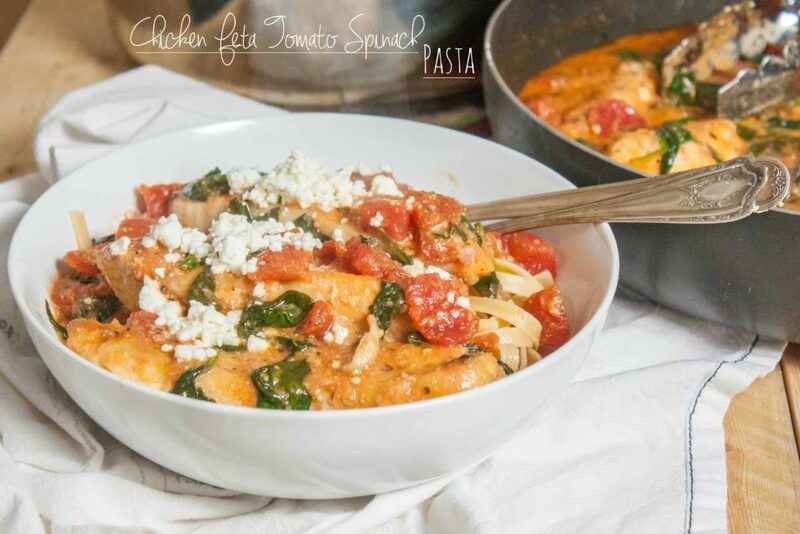 You start by cooking chicken breast strips in a pan, and then to that pan adding canned tomatoes and then some feta and spinach. When cooked together it creates this beautiful creamy tomato sauce. Start by cutting the chicken into strips and setting aside. Put flour into a shallow bowl or plate. Put oil in a large frying pan. Piece by piece coat the chicken strips and put them into the pan and sprinkle with salt and pepper. Cook chicken on high heat, about 5 minutes each side, then flip until both sides are browned. Now empty cans of diced tomatoes into the pan with the chicken and about 1/2 of the feta crumbles. Stir and allow the tomatoes and feta to combine. After about 4-5 minutes the tomato sauce will start to come to a boil. 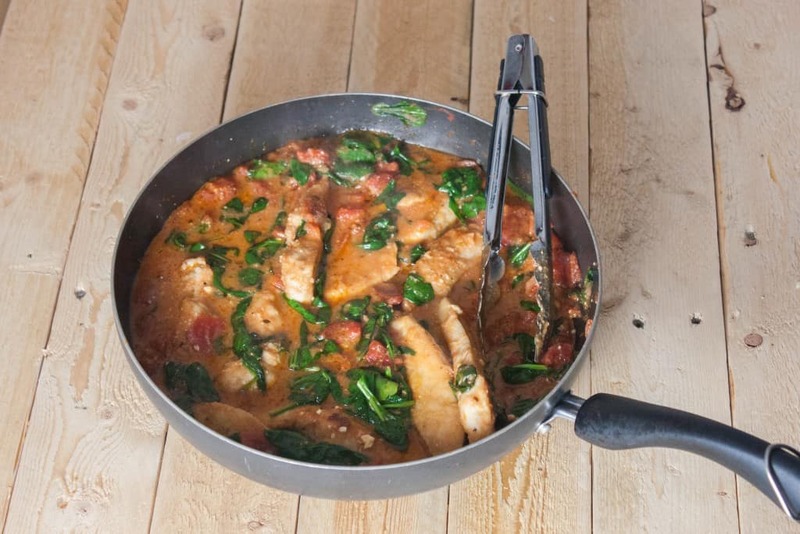 Reduce heat to low, add in the spinach and fold it under the tomato sauce and chicken, it will 'wilt' as it cooks and will reduce greatly in size. When all the spinach has cooked down and the pasta is done cooking you're ready to serve. 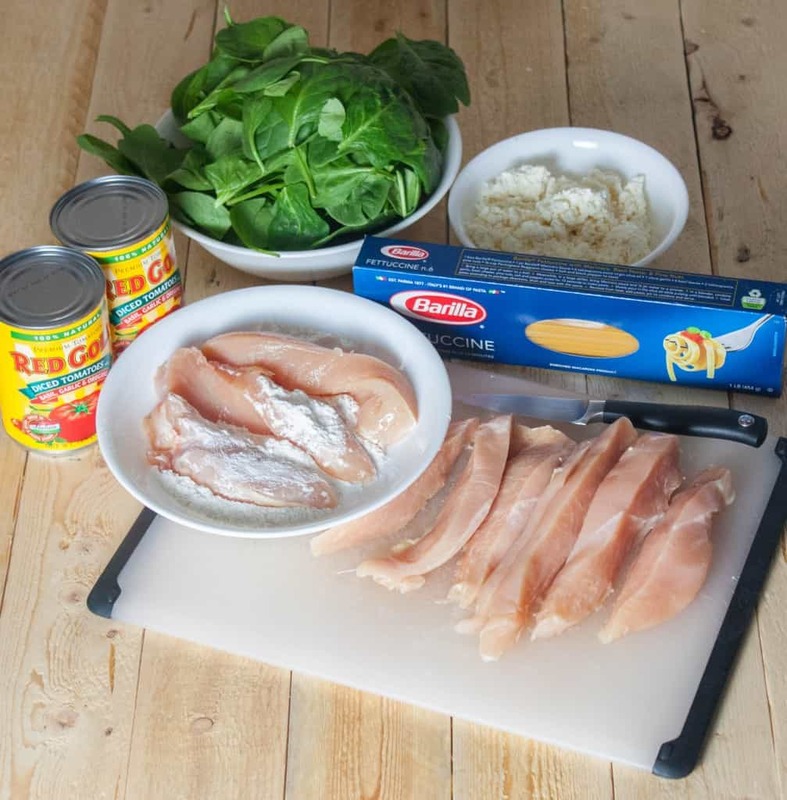 To serve portion out pasta in a bowl and then spoon 2-3 pieces of chicken over the pasta and a few spoonfuls of sauce with the tomatoes and spinach over the pasta. 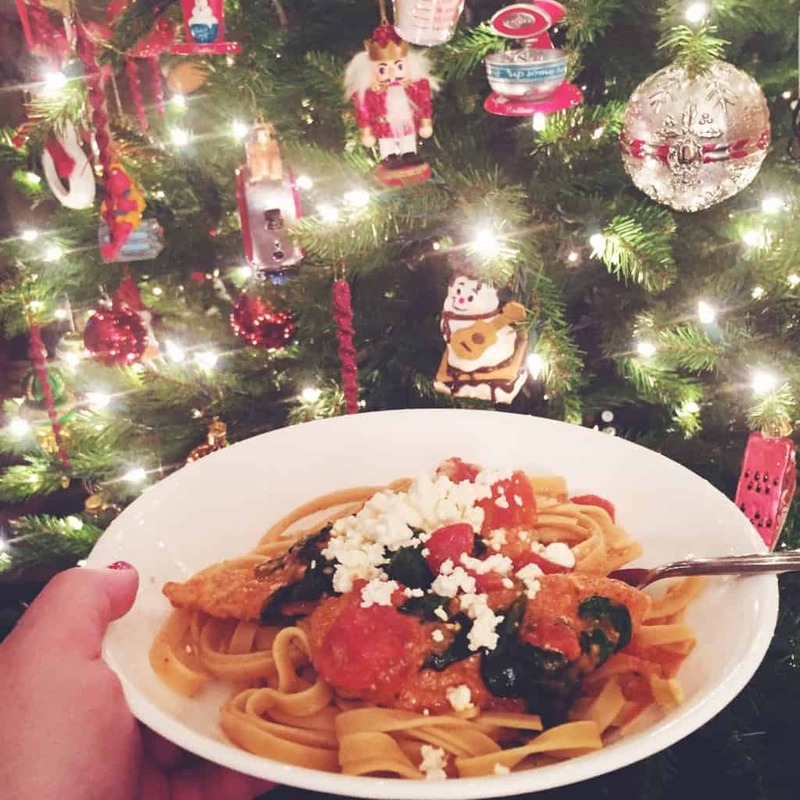 Sprinkle a little of the remaining feta over the bowl and enjoy! 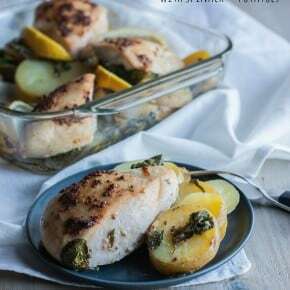 Note: This recipe has been made by a reader and is featured on my Reader Recreation page. 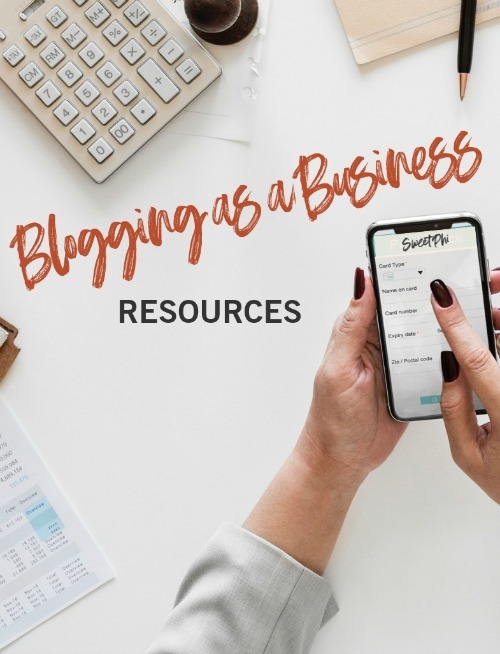 If you ever make a SweetPhi blog recipe or tutorial that you’d like to share, just include the hashtag #Sweetphiblog on social media or send me an email to sweetphiblog@gmail.com, I love seeing your recreations! Just loved the dish just added olive oil to the tomato base sauce and was just great, can’t wait to share this dish with family and friends. All the way from South Africa. !